The Undertaker would not compete at Wrestlemania X due to injuries. Despite his absence, a certain someone would steal the show. I’ll name names and get into detail about that in another column, but without The Undertaker, someone needed to make sure Wrestlemania stayed afloat. 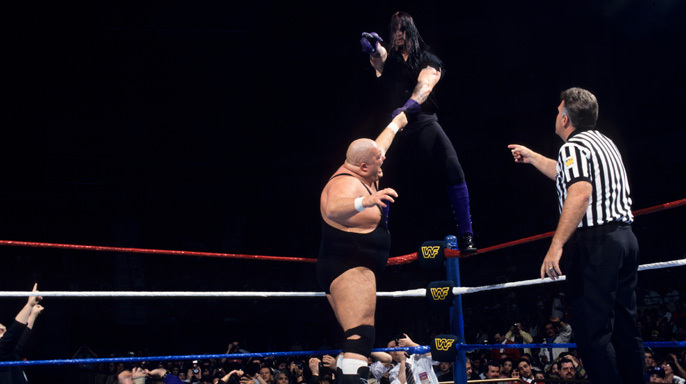 A year later, Wrestlemania XI would hold sixteen thousand strong in the Hartford Civic Center in Connecticut to watch The Deadman return to his undefeated burial ground to toll the bell for King Kong Bundy. Their match was centered on The Urn of The Undertaker. The Urn was the great symbol of power for The Undertaker. The new perspective of this match was since The Undertaker could not be conquered physically, or mentally, perhaps he could be conquered mystically. The goal of King Kong Bundy as a member of the Million Dollar Corporation was to destroy The Undertaker with his own mysticism. At the Royal Rumble, The Corporation would manage to steal The Undertaker’s Urn and steal his power from him. Bundy and The Corporation did not take into account that as The Undertaker always does on the grandest stage of them all, he gets the job done. The Undertaker would battle Bundy for his fourth victory at Wrestlemania, but the win would once again be tainted. The massive athlete King Kong Bundy walked down the aisle followed by the Million Dollar Man Ted DiBiase with the power of The Undertaker in his hands. The Undertaker and Paul Bearer entered the arena next. DiBiase may have been in possession of The Urn, but the presence of The Undertaker had not dwindled in the slightest. The stage was set as the men stared one each other down and DiBiase exited the ring with The Urn. The match would begin swiftly and The Undertaker would unload on Bundy. The Deadman would motion to DiBiase and his Urn on the outside before hitting Old School from the top rope on a stunned Bundy. However, it would failed to knock Bundy off his feet. 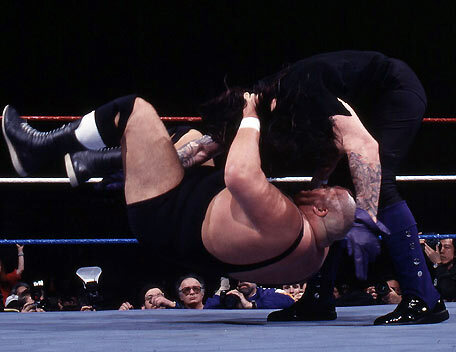 In an ode to two years prior against the Giant Gonzalez, The Undertaker delivered three clotheslines with the final one managing to take the big man down. The Undertaker would then pursue The Urn and take it right out of the hands of DiBiase and place it right back into the rightful hands of Paul Bearer. 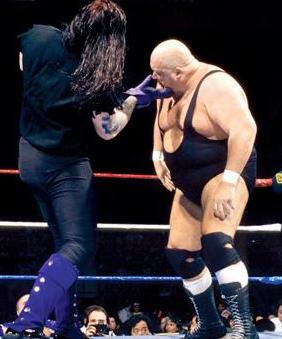 As DiBiase called for reinforcements, The Undertaker reentered the ring to continue his assault on Bundy. Kama arrived quickly and retook The Urn from the hands of Bearer. Bundy was too big of an immediate threat and The Undertaker would be too distracted to stop DiBiase and Kama ended the game of hot potato with The Urn, and it was taken out of the arena. The Urn was lost. Back in the ring, Bundy would try to dominate The Undertaker without his source of power anywhere near. 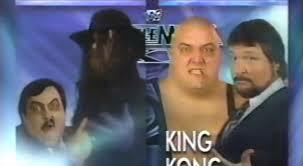 King Kong Bundy continued to pound on The Undertaker. A long chinlock, irish whip and body splash in the corner left Bundy more than confident in his victory, but The Deadman had enough power left to give Bundy a big boot and a big body slam on the four-hundred and twenty pound Bundy. A another big running lariat from The Undertaker was enough to cross the arms and send King Kong Bundy to rest for The Undertaker’s fourth consecutive Wrestlemania victory. Once again, The Undertaker gained the win, but it was not be as clear cut as it could have been. The Urn was the ultimate prize of this match and The Undertaker had failed to maintain control over The Urn. Unfortunately for this match, it was more of a prop than the core of the story being told in the ring. The Undertaker lost The Urn and yet, he was still able to slam Bundy and win the match. I really like the angle of having watched others try to conquer The Undertaker physically and mentally, but the idea of conquering him mystically with The Urn was unique and new. It added even more dimensions to the character. The issue I have with it is if The Urn represents an actual power over The Deadman, shouldn’t he become weaker when it is in the hands of others? Shouldn’t Bundy have been able to take down The Undertaker with it? This flaw in storytelling wouldn’t have broken the match if the match was of good quality, but the match was slow and did not feature anything very interesting for the audience to see. This was also the second consecutive match where The Undertaker would secure a win at Wrestlemania without performing a Tombstone Piledriver. Not a big deal, it is just an interesting note. In terms of where the match stands in the history of The Streak, it is disappointing. The work in the ring was not of good value. The story and angle of the match was present, but it was inconsistent. Aside from a big spot of strength by Taker, this is the one match thus far that I don’t hold much value in. It is almost as if the powers that be involved had a good idea in place with The Urn. They just didn’t know a better way to keep The Undertaker from The Urn to continue the feud afterward. The obvious answer was for Bundy to run and get counted out, or disqualified. This match wasn’t horrible. However, it leaves a light mark on The Streak’s history. Here’s the thing though, if all I have to complain about by day 21 of this column. IF this is the one match I hold as lackluster. I’m going to let bygones be bygones. Nothing is perfect, not even The Undertaker’s Wrestlemania Undefeated Streak. It doesn’t have to be, but it does need to be consistent in terms of storytelling in the ring. We are still dealing with a young Undertaker. I think we all know this isn’t going to be a trend within The Streak.